The majority of people sleep with both eyes closed. However, some people—children especially—are capable of sleeping with both of their eyes open. 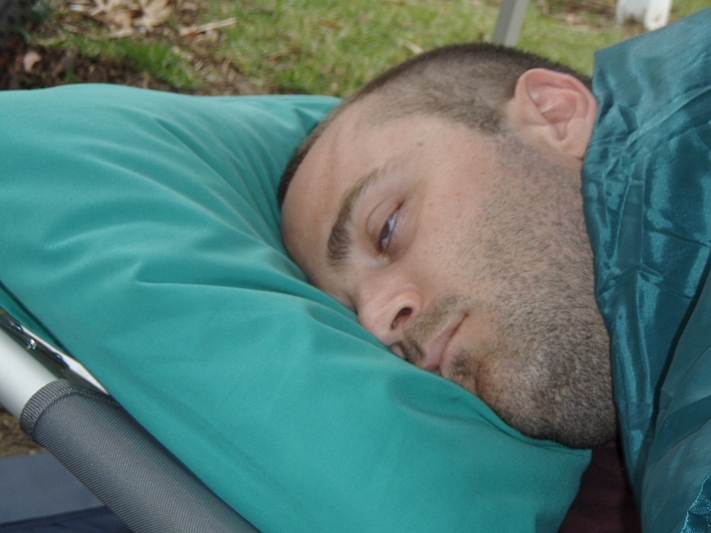 Sleeping with your eyes open is actually a symptom of a sleep disorder. When you sleep with your eyes open, you are not actually asleep, but in a trance-like state. The best way to learn how to sleep with your eyes open is to practice meditation—you can do it anywhere and anytime. It’s guaranteed to leave you feeling refreshed and rejuvenated. Is It Possible to Learn Sleeping with Your Eyes Open? Generally, sleeping is about lying in a recumbent position while your body and mind are at rest. When we sleep, we usually can’t see or respond to external stimuli and we tend to keep our eyes closed. Some people do not close their eyes completely during sleep; thus, the white part of their eye (sclera) remains uncovered. Sometimes this occurs in healthy people. Therefore, it may be possible to learn how to sleep with your eyes open. Sleeping with your eyes open is largely harmless. However, your eyes may be red or dry the next morning. If this is the case, coat your eye with a lubricant and patch it overnight. Other people who can’t close their eyes are due to medical problems. This is known as lagophthalmos and it occurs most commonly due to a condition called Bell’s palsy which is known to cause facial weakness. It is also possible for a person to disengage his or her mind from dealing with visual input when still keeping his or her eyes open, as is sometimes the case with hypnosis. In parasomnia, a person who is asleep is able to sleepwalk or preform other actions. Sometimes their eyes may even be open. Here is a video about a person sleeping with eyes open. Concentrate on relaxing each and every muscle in your body. Begin with your toes and slowly work your way up to your legs, your torso, your arms and your neck. As you approach each area, try to visualize it as realistically as possible—instead of visualizing a generic hand, imagine your own hands. Once you’ve visualized a specific area of your body, it may take a few minutes before you actually feel your muscles in that area relax. Inhale deeply and exhale completely. Keep taking slow, deep breaths and focusing on the act of breathing. After a few minutes, you should feel your body relax further. Try to involve your sense of hearing in the breathing process, focusing not only on the feeling of each breath, but also the sounds you make as you inhale and exhale. Stare at a stationary object—one that’s easily visible from where you’re lying. Any simple, familiar object will do—even a ceiling fan or a wall. Do not look away from your chosen object, but make sure that the object does not become a point of fascination for you. Avoid choosing an object with a lot of detail. If the object you choose moves, make sure its movements are rhythmic rather than erratic. While your eyes focus on your selected point, allow yourself to daydream. If you can, let your thoughts naturally develop. Don’t try to guide them down a particular path. Avoid focusing your thoughts on your fixed point—the object should be engaging your visual sense, but not your brain. If possible, let your mind go completely blank. Otherwise, allow your thoughts and ideas to develop semi-consciously. It won’t be long before your body begins to rest. So long as you don’t rouse yourself, your body should drift off to sleep while your eyes remain open. If your mind prematurely rouses itself from its resting state, simply try again another night. Once you’ve learned how to sleep with your eyes open, don’t do it every night. Falling asleep with your eyes open too often may dry out your eyes, which can do permanent damage to your corneas. Using eye drops on mornings after you’ve slept with your eyes open will moisturize your eyes and clean out any debris that may be trapped inside your eyes. If your eyes feel especially dry or painful, stop sleeping with your eyes open and resume a normal sleeping routine.